The Journey of a Running Green Girl: The Green Girl Has New Shoes! I went up to San Jose for Halloween weekend so I could take my niece Trick-or-Treating. On Sunday, I went with my family to Santana Row for the weekly Farmers' Market. 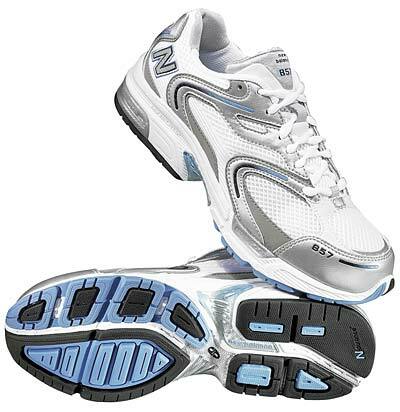 I spotted the New Balance store and went in to see if I could get a pair of replacement shoe laces for my 857's. For some unknown reason, the 857's shipped with really short laces. The sales person knew exactly what I was talking about when I explained my need for longer laces and was kind enough to dig up a spare pair. The fact I didn't have to pay for a new pair of shoe laces made my day. I was ready to leave with my free laces when the sales person asked me if I was interested in any shoes. I asked him if by any chance the 859's were on sale. Turns out they were 30% off and they had them in my size - 6.5 D width. 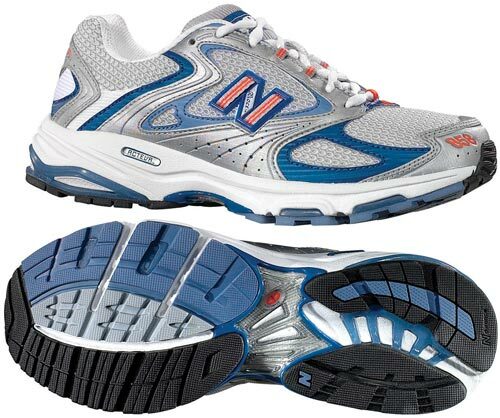 My very first pair of running shoes were the 857's. I was so disappointed when they were discontinued but I gave the 858's a try and they felt the same so I was happy. So far, I really like the 859's. The only difference I can feel is the increased support around the ankle. I appreciate the fact that it's more snug because my ankles would slip in both the 857's and the 858's. I used a special lacing technique to keep my feet from slipping in the back. I know many runners spend their entire lives searching for the perfect shoe so I'm thankful I've found something that works for me. My feet are hard to fit because they are really wide but small. When it comes to running, I need a lot of support for overpronation and plantar fasciitis. I need a shoe that is stable and stiff. A shoe with a lot of cushion actually hurts my feet. Thanks to the New Balance line of stability shoes along with Green Superfeet insoles, I'm able to be a happy running Green Girl. Thank you for posting so much information about training to heal your ankle sprain. I'm currently trying to rehabilitate my ankle so that I can get back to running, and I can't afford to go to the doctor, so your posts have really helped me a lot. I noticed that you mentioned that you have problems finding good running shoes and I suggest that you try Ecco shoes. I have bone spurs in my heels and plantar fasciitis and these have been the best shoes for me for ten years. Diaphanous, you're very welcome. Please feel free to email me should you have additional questions. I've done three marathons with them and at the end I don't feel any foot pain so I've been really happy.